Breastfeeding out and about gets a pretty bad image in the news. All we tend to hear about are stories of mums being asked to leave just about anywhere. BUT let’s just consider for a moment why these stories make a headline. c) need to have a sensationalist angle to keep the readers interested. 1. Follow your heart – if breastfeeding feels right for you and your baby, then listen to that inner voice chiming away and go for it. You are nourishing and mothering your child in the way you have chosen to and that remains relevant wherever you happen to find yourselves. 2. Look around – the vast majority of people around the country will either not notice, not care (in the nicest possible way! ), may smile at you, or even say something encouraging. You may be very pleasantly surprised! 3. Prepare a comeback – If you’re worried about any potential negativity, it may help to mentally prepare how you would respond. Remember that when anyone is being rude, it is a reflection of who they are, not of who you are or of what you are doing. Try disarming them by flashing your biggest smile, thanking them for their perspective and if it really warrants it, maybe offering up a little sarcasm such as “your comment almost affected me”. As they realise their ill-informed comment has not affected you (at least not on your steely exterior! ), they will either back down or continuing trying to antagonise you. By maintaining your positive stance, you will show that you have the upper hand and you will be buzzing with a sense of personal empowerment afterwards. 4. Know your rights – you are protected by law to breastfeed anywhere in public where you personally have the right to be. If anyone in a position of authority such as a café manager, tries to tell you otherwise, you can accurately tell them that they can be prosecuted for their actions. True. 5. Think clothes – some mums feel happy to breastfeed by lifting their breast out over the top of their vest top, shirt or dress. However, for others, this can be a personal step too far. If you’re concerned about having flesh on show, just take a moment to think about how your clothes will work for feeding. Aside from the obvious clothes marketed for breastfeeding, you will also find that many “normal” clothes work too. When I was breastfeeding, I used to live in stretchy vests and then any normal top of mine over the top. I’d pull down the vest, unclip my bra and then lift up my top. Tada! Nothing on show. For some great breastfeeding style inspiration check out @FeedinStyle on Instagram. 6. To Cover or Not to Cover – it’s entirely up to you. 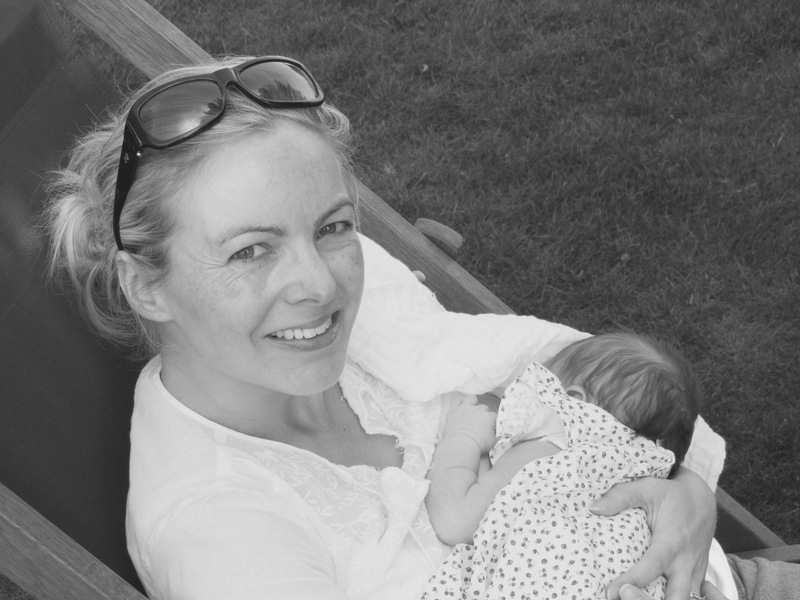 Some mums feel that using a breastfeeding cover draws in attention rather than deflects from it, can be an additional hassle to use and creates a rather stifling and dark environment for the baby. That said, they are absolutely right for some Mums who may otherwise choose not to breastfeed if they weren’t able to use one. They may be particularly useful if a baby is very distractible, takes a while to latch, or if a mum is worried about a very fast let-down and passers-by getting a surprise spray!